As President, Local Radio and TV, Nikki Moffat is responsible for Bell Media Radio, Canada’s largest radio broadcaster with 109 licensed radio stations in 58 markets across the country, as well as the company’s leading network of 30 local conventional television stations. Since taking on the role presiding over many of Canada’s most-watched local stations, the teams she leads have garnered a total of 70 awards for their local storytelling efforts – speaking to the quality of news and local programming delivered every day. As Senior Vice-President, Finance, Moffat is responsible for the financial operations of Bell Media and all its subsidiaries including $3 billion in revenues. In 2017, she successfully expanded her financial executive role to assume the media operations leadership role, and now leads a combined workforce of nearly 2,500 employees located in offices across the country. As part of her media operations portfolio, Moffat also oversees iHeartRadio Canada, which has exceeded 2 million app downloads, and features world-class music events like the two consecutive sold out iHeartRadio Jingle Ball concerts in Toronto. A media veteran of more than 20 years, Moffat joined Bell Media in 1997 as a financial analyst and has since held a series of progressively senior roles. Throughout her career, Moffat has demonstrated great integrity and built key strategic relationships with international partners including ESPN, Discovery, HBO, and Bloomberg. 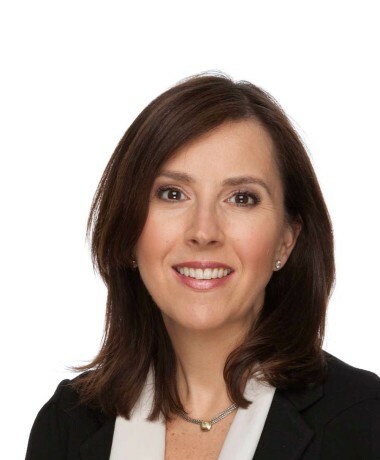 Prior to joining the company, Moffat began her career at Ernst & Young in the Audit practice, and then advanced as a tax specialist working with large corporate clients, including Coca-Cola and the Bank of Nova Scotia. Moffat has been at the forefront of some of the industry’s largest media mergers and acquisitions, representing more than $8 billion in transactions. Her work has been instrumental in building Bell Media into the leading content creation company in Canada, with premier assets in television, radio, out-of-home advertising, and digital media. Moffat’s judicious use of resources and subsequent cost containment have resulted in more than $100 million in synergies during various media asset integrations. In addition, she is involved in various steering committees overseeing complex system implementations across Bell Media. Currently, Moffat is a highly regarded mentor with the Ryerson Ted Rogers School of Management Top 200 Program, and the Finance Mentoring Program at Bell. She is the recipient of a 2015 Women in Communications and Technology (WCT) Leadership Excellence Award and in 2014, Moffat was selected by the Washington D.C.–based International Women’s Forum (IWF) as one of 35 in the world showing leadership in her community and organization. A Cabinet Member of the United Way of Greater Toronto 2018 campaign, Moffat also co-chairs the Telecommunications Sector where she works to build awareness of the United Way’s work and its impact within her industry. She also serves on the boards Sheena’s Place, Pinewood Toronto Studios, The Source, and is Chair of the board for CTV Specialty Television Inc. Moffat was recently on the board of the Toronto Argonauts Football Club, when the team won the 105th Grey Cup Championship. Moffat, a Kingston native, holds a Bachelor of Commerce Honours degree from Queen’s University and is a member of the Institute of Chartered Accountants of Ontario.